Lars-Gunnar Lundh did his PhD at Uppsala University in 1984, where he also was trained as psychologist and psychotherapist. After working as a psychologist at the Department of Psychiatry at the University Hospital in Uppsala, he worked as a lecturer and researcher at the Department of Psychology, Stockholm University until 2002, when he was appointed professor of psychology at the Mid Sweden University in Östersund. From 2003 he is professor of clinical psychology at Lund University. 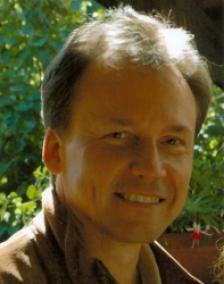 He is a member and fellow of the Association for Psychological Science (APS). He has done research in a number of different areas, including insomnia, anxiety disorders, non-suicidal self-injury, information-processing biases, perfectionism, alexithymia, and mindfulness. Among his main interests are psychotherapy and philosophical/theoretical issues in psychology. Countertransference in Swedish psychotherapists: Testing the factor structure of the Therapist Response Questionnaire. Berg, J., Lars-Gunnar Lundh & Falkenström, F., 2019 Jan 17, In : Research in Psychotherapy: Psychopathology, Process and Outcome. Effectiveness of guided internet-delivered cognitive behavior therapy for depression in routine psychiatry: a randomized controlled trial. Olof Johansson, Jonas Bjärehed, Andersson, G., Carlbring, P. & Lars-Gunnar Lundh, 2019, (Accepted/In press) In : Internet Interventions. "Voluntarily admitted against my will”: Patient perspectives on effects of, and alternatives to coercion in psychiatric care for self-injury. Ellen Gerle, Fischer, A. & Lars-Gunnar Lundh, 2018 Sep 18, In : Journal of Patient Experience. 6 p.